Many of us are Valencians who wear our most traditional cocktail in any corner of the planet, but few know the origin of it and prepare it faithful to the traditional recipe. Valencia water is a fairly high alcohol cocktail , which is prepared with natural orange juice, champagne or champagne and a couple of liquors with high percentage . He was born in 1959 by the painter Constante Gil at the Café de Madrid in Valencia, which he managed, but it was not until the 1970s that he began to get acquainted with the Valencian night. According to the writer María Ángeles Arazo in her book Valencia noche (Plaza & Janes, Barcelona 1978), at that time the Cervecería Madrid frequented a group of Basque travelers who used to ask for "Agua de Bilbao", referring to the best sparkling wine in the house. Weary of always asking the same, they challenged the owner to offer something new and he proposed to them to drink the "Agua de Valencia". They agreed to try the cocktail that Constante Gil prepared at that time and they did not stop drinking it during their subsequent visits. The Valencia Water recipe that is popularly prepared in Valencia today is prepared with a Ron base, and although we can not deny that it is very rich, this is not the traditional way of preparing it, nor does it correspond to the one that should be its original flavor that so popularized our famous cocktail . Here we leave you the original recipe of the perfect Valencian drink to enjoy this summer. 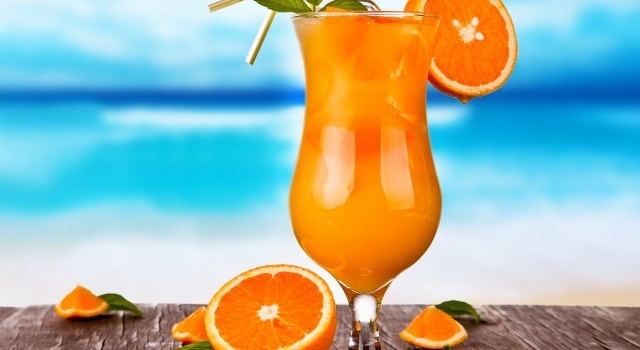 This cocktail is very simple to prepare and does not require any special knowledge in catering, but if there are details that will make the difference of the final taste and that we must take into account : For example, the fundamental ingredient that we can not and must not alter is the juice of orange NATURAL . The juice should never be used as a box, bottle, bottle, etc. , it is essential that the juice is natural, derived from the oranges that we squeeze ourselves. The oranges must be ripe and try, as far as possible, to be the ones with the most juice. Neither should we ever use orange liqueurs , far from giving it more flavor, this completely cancels out the natural juice, making the final taste "rare", or at least not from Agua de Valencia. A tip, if not important, at least curious, is the fact of cooling the cocktail in the fridge. If you prepare the Agua de Valencia beforehand and put it in the fridge for at least a few hours, it will taste much better, as the flavors will have completely mixed. It is also important that when removing it from the fridge to serve stir with a spoon, but do not shake the drink (unlike James Bond, in our case it will be stirred, but not agitated). And finally, another very important fact is the champagne or cava that you use, because this will be the one that carries the son of the flavor in our final show. If you use a dry one, the cocktail will be dry, on the contrary if you use one more fruity and sweet, the final line of our refreshing drink will be this one. - The first step will be to prepare a good orange juice naturally. We need some good ripe oranges with enough juice. The amount of oranges will depend on the juice you have and the amount of Valencia Water that you want to prepare. - Once we have enough juice to fill two of the parts of the container that we have chosen, we will add the champagne or champagne. The measure of this will be exactly the same as that of the juice. - When the foam has gone down we will incorporate the Vodka and the Gin, a part of the container each one. - Remove carefully not to stir so that the gas does not go completely and put in the refrigerator. The ice will be added just before taking it. Now if you prepare the original recipe of Agua de Valencia. Remember to consume it with control, because as we said at the beginning, this cocktail is high in alcohol and goes to the head in a fairly considerable way . Needless to say that, if you drink you should not take the car, for your safety, and for the rest of people who have the same right as anyone to drive quiet without drunks on the road. Enjoy the summer with responsibility!